Boy, have we got a Food Adventure for you this Wednesday! Pizza and Beer! 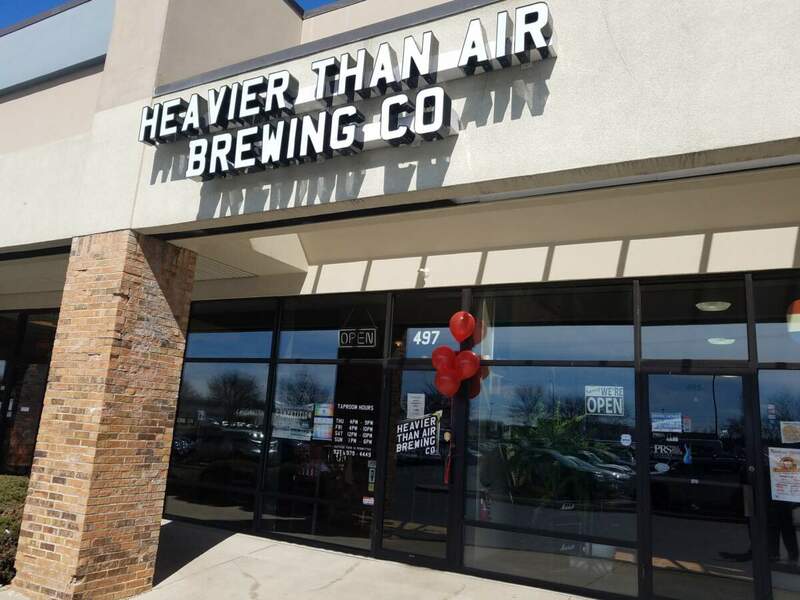 Wednesday August 15th SICSA – Pet Adoption Center teams up with Heavier Than Air Brewing Company for a fundraiser, featuring some pizzas off of local menus! With all of the breweries in town, it is hard to keep a handle on this booming industry. One of the new kids on the block deserves some love and an honorable mention. 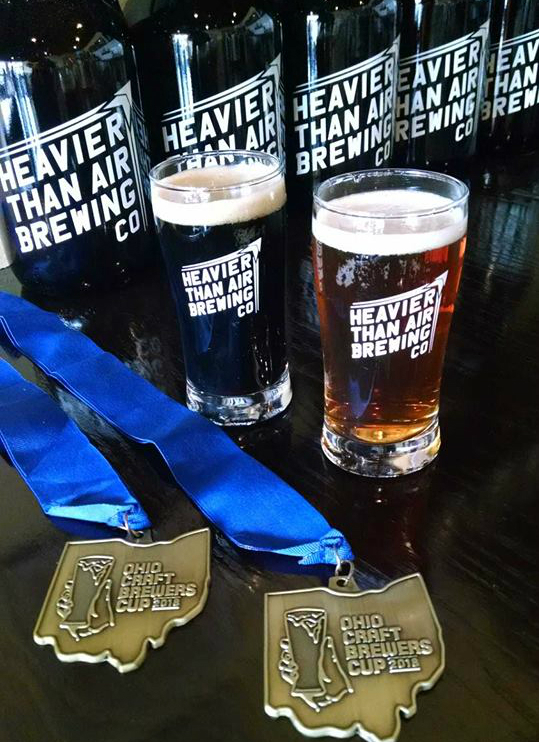 “Heavier Than Air Brewing” in Centerville has been recognized with some awards at the Ohio Craft Brewers Cup. Heavier Than Air‘s European Pale Ale ESB and their Stout McCook both were gold winners. COST: $5 each to attend the PIZZA PARTY all of which is donated to SICSA. CASH BAR – $1 will be donated to SICSA for every pint of beer sold. 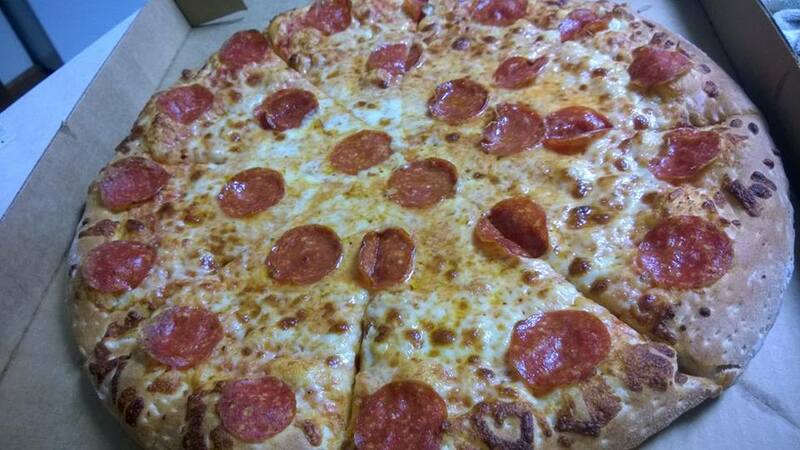 Beer and pizza sounds great.. so whatcha gonna eat ???? 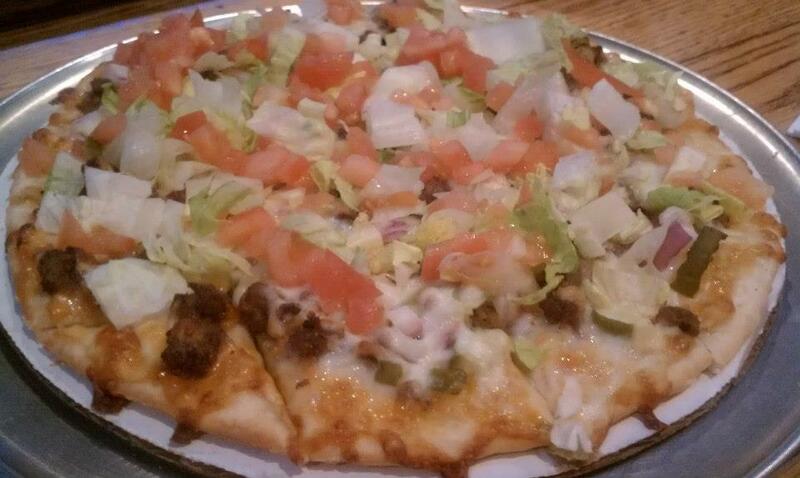 Thin crust, delicious pizza that is always great with beer! 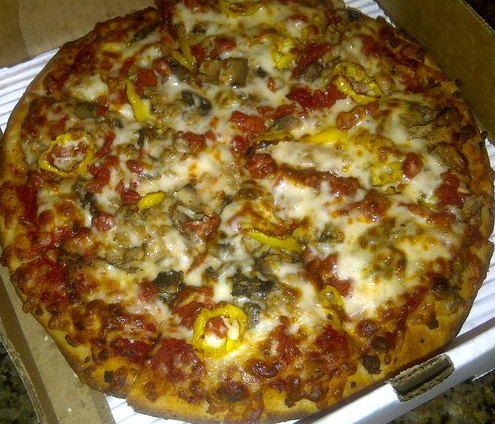 Hand tossed, nationally award-winning pizzas. They will surely have a unique pie on hand. A cult following has quietly kept this place making hand tossed specialty pies with lots of inventive toppings for decades. 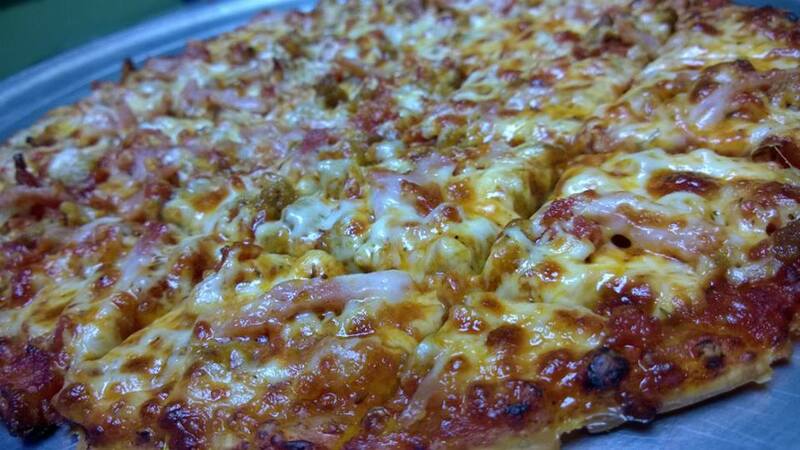 Formerly “Johnny’s Slice of NY,” This pizza is authentic New York City Style Pizza. 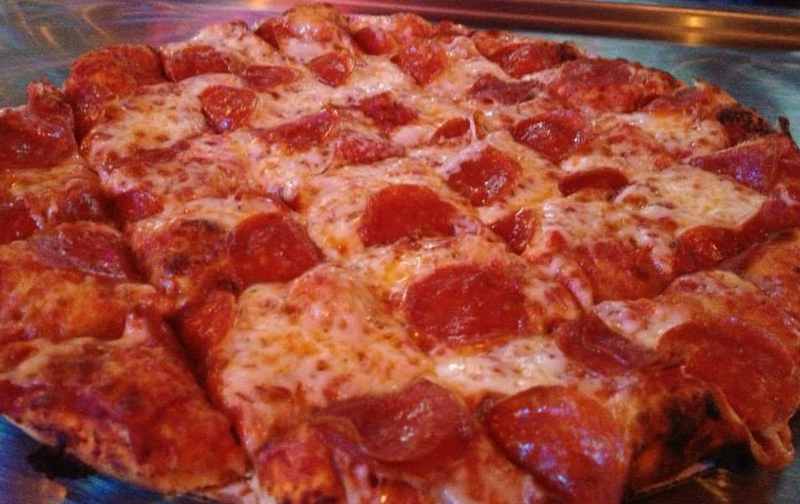 Big Slices, big flavor. Thin crust pizza cut into tiny squares, this is the only pizzeria that uses diced pepperoni like the serve in school pizza. Thin crust pizza, the sauce is delicious too. Look for them to turn some heads with their pizza pies. 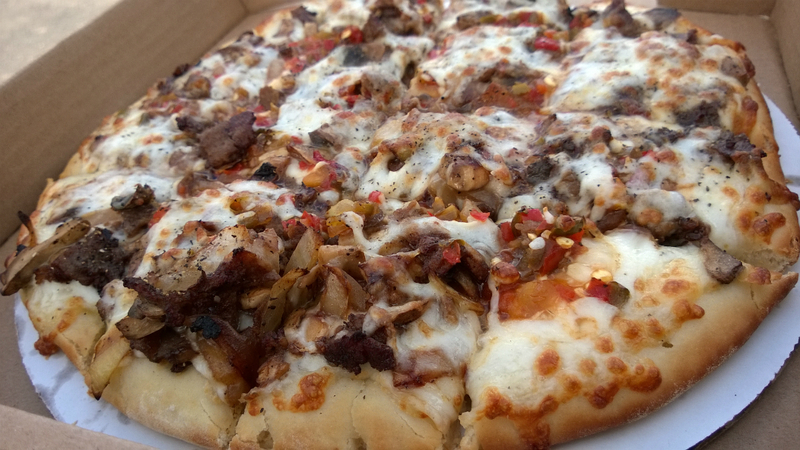 Thin and crispy pizza, we are hoping they feature one of their Philly cheese steak pizzas. Great stuff here ! You gotta wash it down …. This is the best beer we have ever had here, hands down. It is a light beer with a hint of blackberries. Not our style, but it won an award at the Ohio Craft Brewers Cup. So if you like dark, dark beer… go for this one ! 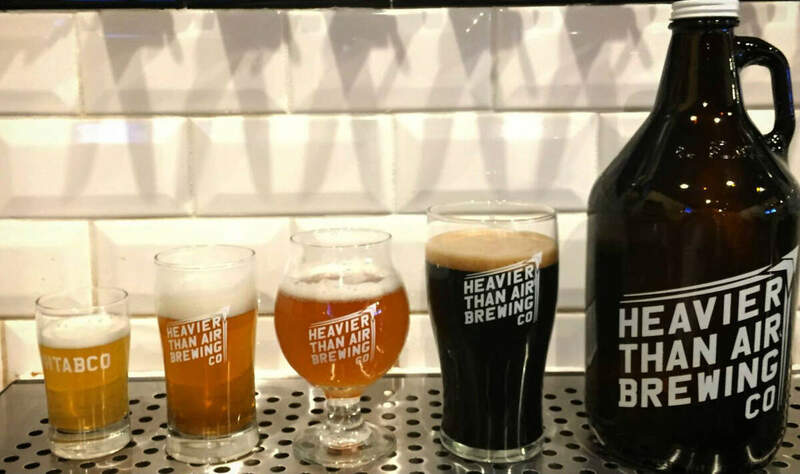 Heavier Than Air Brewing Co. will donate $1 for every pint sold to SICSA, and again, entry to the pizza party is $5 per person. All pizza entry funds will be donated to SICSA, which is set to break ground on a new $5 million facility in Washington Township this fall! 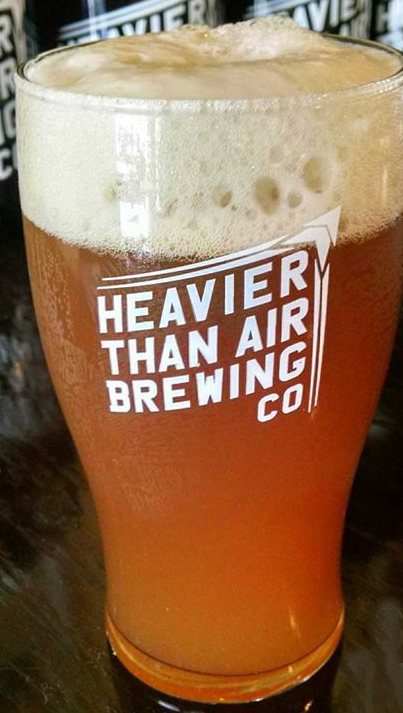 There will also be a chance to win a Heavier Than Air Brewing Co. growler! Food Adventures is a local food blog run by 3 local foodies with a passion for the food that Dayton has to offer. From wholesome nutrition, to fine dining, dives and home kitchen creations, we leave no plate unturned and throw rules out the window. We are honored to have a feature article each and every week right on Dayton Most Metro! Drink up for SICSA ! Staff from the SICSA Pet Adoption Center traveled to the Licking County Humane Society on Saturday, September 23 to help rescue efforts as a result of Hurricane Irma. The SICSA team, along with the Cleveland Animal Protection League, met the Pittsburgh Aviation Animal Rescue Team who had transported 19 dogs from the Charleston Animal Society in order to make room for homeless animals displaced after Hurricane Irma. The SICSA Pet Adoption Center is currently caring for and will have 6 of the 19 dogs up for adoption. Two of them are available for adoption today – Charleston and Cleopatra. The other four are awaiting medical check-ups. “The response to both hurricanes from the animal welfare community has been tremendous”, states SICSA Executive Director Nora Vondrell. “To be able to take some of the burden of caring for, and eventually finding homes for these pups, has been very rewarding for staff and volunteers who have wanted to help since the first hurricane made landfall”, states Vondrell. Vondrell and the SICSA team have been on standby to help with the transport of animals displaced by both Hurricanes Harvey and Irma. They have also assisted by collecting monetary donations to give to the shelters most affected in Houston and across Florida. “The animal welfare community learned many lessons after Hurricane Katrina”, replied Vondrell. “One of the hardest to carry out was waiting until we were called up to help. Many of us wanted to immediately dispatch teams and send physical supplies such as food, leashes, crates, etc. However, we didn’t want to create work and an eventual rotting mess with which those already exhausted would have to deal. Now, our community can help further by finding homes for these Charleston pups so we can help more down the road”, concludes Vondrell. Families interested in meeting and potentially adopting one of the Charleston dogs can do so by visiting the SICSA Pet Adoption Center at 2600 Wilmington Pike in Kettering. 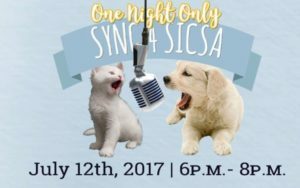 Inspired by the popular Spike TV show Lip Sync Battle, SICSA Pet Adoption Center is staging a 3 round battle on Wednesday, July 12th at The Dublin Pub. As a part of the fundraiser, Pub owner Steve Tieber has agreed that the restaurant will generously donate 20% of sales all day long, just write SICSA on your receipt and that will signal the Pub to include your sales in the donation. Local personality’s have agreed to take the stage at 6pm and lip sync to their favorite tunes as a fundraiser for the local animal shelter. Competitors will start the first round with a song selection of their choice. 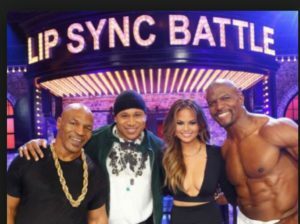 The audience will buy their votes, starting at $2, and thereby pick the winners advance to the second round, where they’ll spin the song wheel for their selection, perform and again the audience will vote two performers on to the finals. In this last round, both finalists will be give the same song to perform, the audience will again vote and the winner will be declared by 8pm. And we still have two spots open! If you’d like to compete send us an email. Lily’s Bistro hosts Doggie Date Night in benefit of SICSA on Thursday, September 29 on their dog friendly sidewalk patio. A portion of all sales throughout the restaurant for the evening will benefit SICSA. Doggie Date Night falls on Curious Cocktail Thursday, a Lily’s Bistro weekly special that features a new or rediscovered cocktail making use of inventive ingredients or preparations. 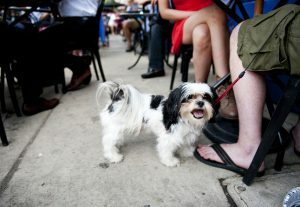 For those interested in Doggie Date Night, the event takes place on Thursday, September 29 at Lily’s Bistro. No tickets are required but reservations are encouraged for larger groups. 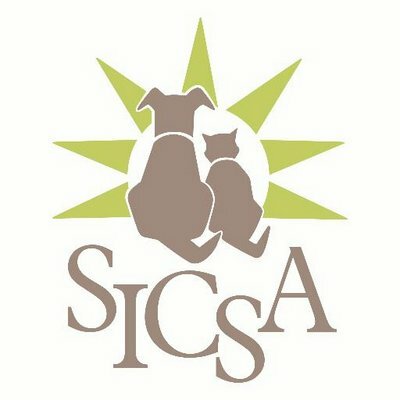 Based in Kettering, SICSA’s (Society for the Improvement of Conditions for Stray Animals) mission is to promote the welfare and adoption of companion animals, and nurture loving, lifelong relationships between animals and people. SICSA will be on site for a limited portion of the evening with an adoptable dog and info on pet adoption. Drink up with your pooch and for all pooches as Lily’s Bistro hosts Pooches & Punches in benefit of SICSA on Wednesday, June 8. SICSA’s Lift Your Leg Run & Walk is Saturday! The Society for the Improvement of Conditions for Stray Animals (SICSA) hosts their annual Lift Your Leg Run & Walk for Strays this Saturday, June 6, 2015 at Centerville High School (500 East Franklin Street, Centerville, Ohio 45459). 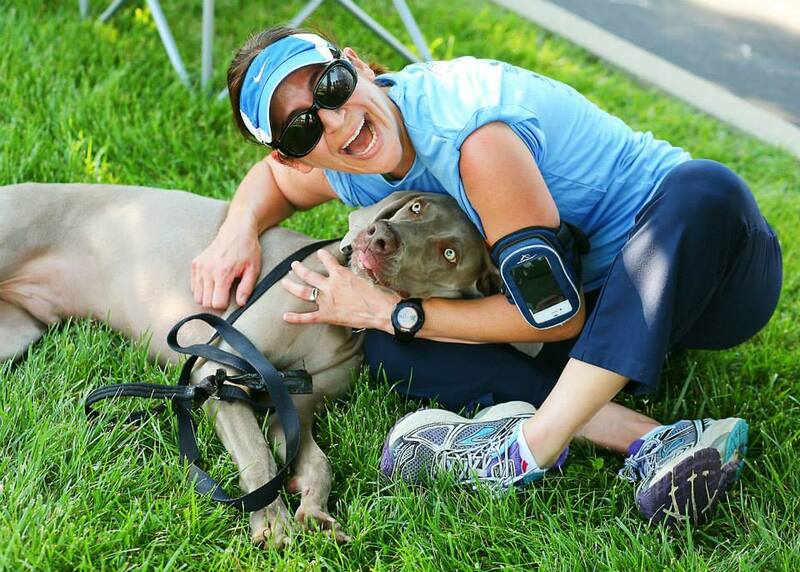 Each year, over 800 people and their dogs join together and raise money, run and walk in support of animals in need. Lift Your Leg helps thousands of animals annually by raising critical funding for their care and adoption. Participants can choose between the 10K, 5K, and a fun 1-mile course. In addition, before and after the race, experience our Vendor Village of supporting businesses and organizations. There will be several food options available, as well as canine entertainment for the whole family to enjoy. And don’t forget the RUFFle Raffle, where you can enter to win a $3,000 gift card to Elizabeth Diamond Company! Tickets for this terrific raffle item will be available for purchase on event day (you can also purchase some when you register!). Raffle ticket prices are $5 each, $10 for three, or $20 for seven. They will also have several human and furry friend contests you can participate in while you are awaiting course awards. Fun contests include Best Dressed Human/Pet Pair, Oldest Present SICSA Alumnus, and a Dog Talent Contest. You may register individually or as a team. In addition to awarding prizes to runners in several different categories (best times by race length, age, and with dog), SICSA also awards the largest fundraisers in team and individual divisions. Teams of 6 or more receive a free upgrade to an athletic performance t-shirt, a $5 value per participant! For more information on fundraising, the course map, schedule of events and to register, please visit www.sicsa.org/liftyourleg. For additional information about Lift Your Leg, please contact Development Coordinator Julie Crusenberry at (937) 294-6505 ext. 15 or [email protected]. 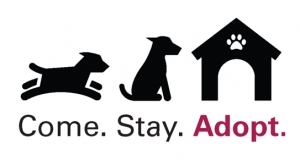 International law firm WilmerHale is once again teaming up with the Montgomery County Animal Resource Center, the Humane Society of Greater Dayton and SICSA Pet Adoption Center for the “Dogs of Fall Adoption Fest” on Saturday, September 20, 2014 from 11 am to 3 pm. This 4th annual event will be held outside the WilmerHale Offices, 3139 Research Boulevard (located in the Miami Valley Research Park), Dayton, OH 45420. Dozens of dogs will be available for adoption at this family-friendly event featuring music provided by Montgomery County Auditor and DJ Karl Keith! For 40 years, the Society for the Improvement of Conditions for Stray Animals (SICSA) has been dedicated to place adoptable dogs and cats in loving homes. They have over 1,400 dog and cat adoptions annually and spay and neuter over 2,000 dogs and cats each year for the community. As a nonprofit, they rely on donations from the community, hosting many fundraisers like their Red Dog Auction, Holiday Bazaar and their annual pet calendar. But this year, they’ve planned a brand new event for Friday, Sept 12th and they’ve enlisted the help of James Beard award-winning chef and restaurateur Anne Kearney of Rue Dumaine and Chef Matt Hayden from Scratch Event Services to pull off The Cat’s Meow. Guest will arrive at Benham’s Grove in Centerville to enjoy a 1920’s Creole style garden party featuring a shrimp boil like Dayton’s never seen. 5:30-7:00 – Era-specific appetizers and spirits, dancing to the beat of Dave Greer and the Classic Jazz Stompers, a themed photo booth, and an exciting silent auction made up of unique and enticing packages. If this lineup doesn’t keep you entertained while you visit with 249 other guests and enjoy our garden party Creole ambiance, we need to check your vitals! 7:15-8:30 – A shrimp and Andouille sausage boil, Creole-style. What’s that mean? It means we boil up those bad boys with corn, potatoes, carrots, onions, garlic, Chef Anne’s special spice mix and lots of love! We then serve it up piping hot to your table family style, with a side of Chef Anne’s Grandma’s famous cornbread. Not a fan of shrimp or meat, no worries. We also have a red beans and rice dish which will be sure to please. We will round out the main course with homemade pickled vegetables made just for you! Then we finish it up with banana-pecan trifle garnished with pecan praline while you bid on our five special live auction items. You will swear you have been transported back to a 1920 Louisiana back yard. 8:30-10:30 – The party doesn’t stop just because the bidding has! Dave Greer and the Classic Jazz Stompers will turn up the heat and get you going on the dance floor. Not into the swing, we dare you not to do some chair dancing, toe tapping or finger snapping to these cool cats! Individual Tickets are $150 each and tables of 8 are $1200. Tickets may be purchased on the SICSA website. We’ve got a pair of tickets for a lucky winner who’d like to enjoy this Creole Garden Party. To be entered in the drawing you must like & share this story and fill out the entry form below. Congratulations to Theresa from Huber Heights, who will be our guest at The Cats Meow! Experience Wheat Penny at their Sneak Peek For Charity! to present a truly unique opportunity for you to have a sneak peek of this cool pizza-centric restaurant featuring rustic, creative dishes and a bar that serves up fresh, handmade cocktails-brought to you by the culinary-minded folks at Meadowlark Restaurant! Tickets are $35/person of which $25 is tax-deductible. 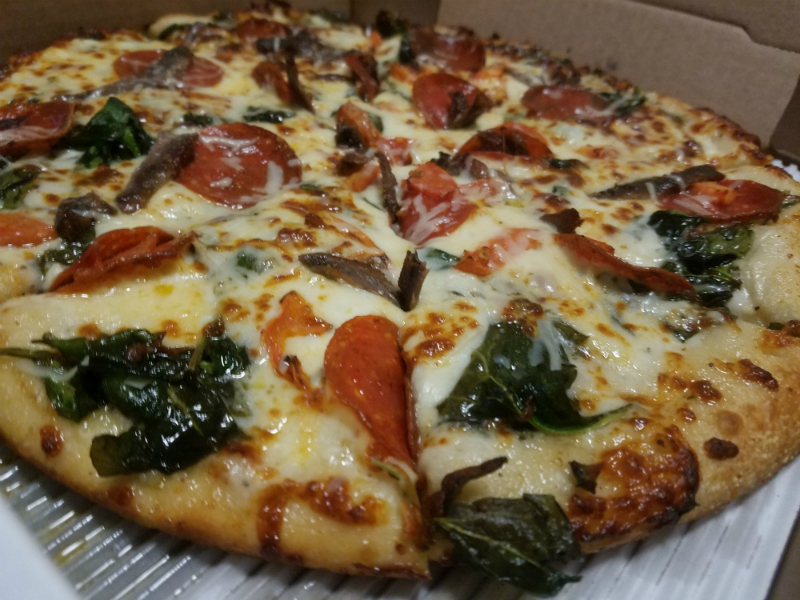 Guests will be able to order an appetizer (like a salad or eggplant fritters) and a pizza entrée (you’ll have your choice of hhite, wheat or gluten free dough). Guests will also receive a special Wheat Penny dessert treat. Tea and Coke products are included. There’s a 90% chance the liquor license will arrive by Tues/Wed, so guests should be able to buy cocktails as well. Servers will drop checks and collect at the end of the meal (gives them register practice). 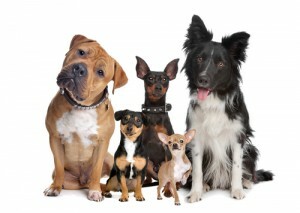 A limited admission animal shelter which strives to place adoptable dogs and cats in loving homes. Sold Out – email Ann Roberts to be put on the waiting list. Please do not contact Wheat Penny- each charity has their own reservation list and Wheat Penny will not have any information on open spots.